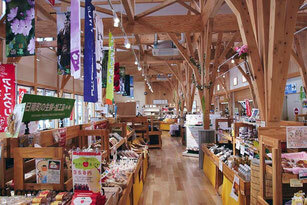 This is the place to buy specialty items and other souvenirs from the Hino District! We will introduce some recommended shops. The selection mainly focuses on specialty items from Kofu-town. The facility also includes eateries and direct sales outlets for farm products. Its location along National Route 181 makes access convenient, especially for those on a road trip. 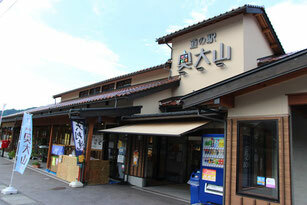 Nichinan Hinogawa-no Sato Roadside Station is a sprawling shop with a wide selection of goods. The comfortable feeling of the interior comes from its wood construction. A convenience store is also right next to it. Kamochi Terrace Hino is located near Neu in Hino-cho and serves as a sightseeing hub. In addition to being able to buy rice, miso, vegetables, and other delicious Hino-cho specialty items, there are also a plethora of sightseeing pamphlets available. 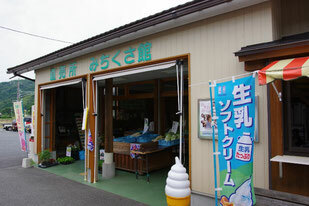 In this place, seasonal vegetables are sold at affordable prices. The local atmosphere is also good.